With its gleaming surface and sculptural silhouette, this chandelier is reminiscent of Gaetano Sciolari’s iconic Midcentury Modern designs. 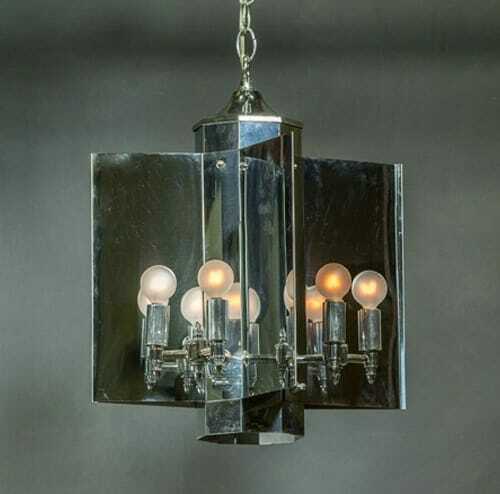 The angular chrome lantern holds eight bulbs that send light glinting off all four sides. Circa 1970.